5 stars: completely redundant CCR of very high build quality. Perfect after sales. I upgraded the Liberty from 4 to 5 stars because it is now on the market for a longer period and it is there to stay! The startup problems have been overcome. 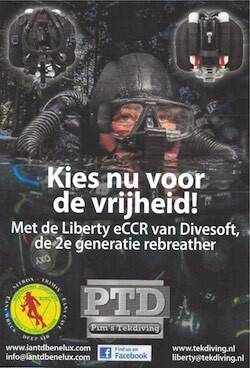 The Liberty is one of the best CCR's I dived sofar. Now it is my preferred CCR. For many purposes and different dives. It got 4 stars, for several reasons: robustness, easy of use, redundancy, perfect after sales, very good build quality. I used the Liberty not in caves yet. Maintenance is easy an setting up the unit is quickly done. I’m quite “tough” on my equipment and the Libery sofar resisted my “bad” handling. For travelling the Liberty could use a lighter backplate. Since this one is custom build and quite heavy One cannot put a different backplate because the stand of the canister is integrated with the backplate. That is also the reason why it is not possible to put bigger tanks. 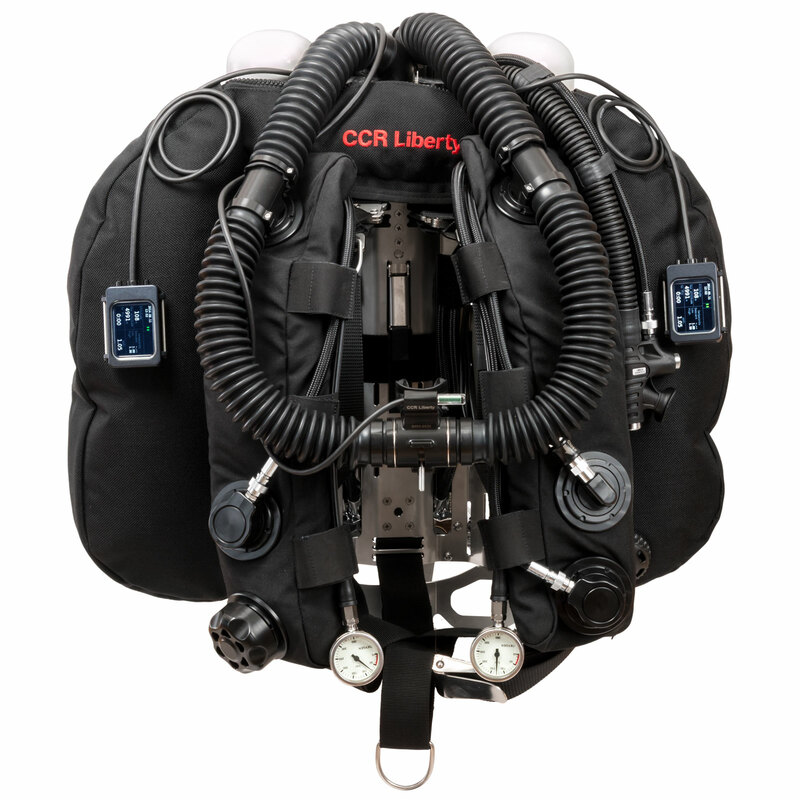 The Liberty is also available as a Sidemount Rebreather. This version doesn't have CE (yet). The unit is unique in the sense that is completely redundant: 4 oxygen cells, 2 independent dive computers/controllers, HUD and buddydisplay, 2 helium cells, 2 pressure sensors, two (rechargeable batteries). The head of the unit can be used as a gas analyser (nitrox, trimix, air). Parts to do so and also a head calibration kit are delivered with the unit. Also a "deluxe" spares kit is delivered with the unit. It’s quite easy to calibrate the unit and to prepare it for diving. Also taking it apart can be done in several minutes. It has an extended integrated checklist, which services as a "reminder". One can skip the list or even shut it off. The predive test however needs to be done. During the predivetests it performs the positive and negative tests with the help of the integrated pressure sensors. Trim is very good. The Liberty comes with weight pouches which make it easy to adjust the trim of the unit. The position of the lungs makes it a unit, which is easy to breathe. The WOB of the Liberty is good in every position. Back mounted lungs are available as an option. The diluent and oxygen injectors are mounted on the BOV. The frame is heavy and cannot be replaced. The handsets and HUD can be easily removed from the head. Divesoft is now working on a travel kit. Very competitive price for such a unit. Perfect after sales. Direct response to email and spares are shipped immediately. The factory is very large and clean: an example to may manufacturers. The unit is CE rated until 100 mtr. The handsets to 350 mtr. I dived the unit during two DIRrebreather expeditions to the Britannic (in 2016 and 2017).